Airtel, Kolkata’s 2nd largest mobile operator after Vodafone heats up price war of the metro. While Kolkata got two new operators earlier in this month – Tata DoCoMo and Idea Cellular, Reliance brought Simply Reliance plan (call/sms over India @ 50p) and Airtel told they are not following this tariff competition, this STV is just a out of magic box. Airtel launched a Special Tariff Voucher priced at just Rs 41, which offers all local calls (mobile and landlines) at 50p/min and tariff validity is for 1 year (365 days). Tariff war is too hard for Airtel that just 6 months before Airtel Kolkata came up with Rs 102 recharge to offer all local calls @60p for 6 months. The offer is just mere 6 months old and Airtel launched new STV with lower price & tariff with longer validity ! 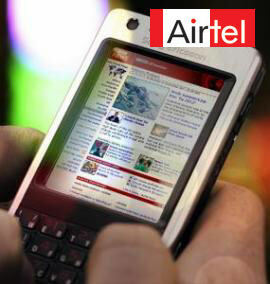 Airtel’s best way to survive n tha market is to introduce cheaper internet plans,else airtel is finished.